For some time, I have been promising to share more disabled holidays in Europe. And, while I meant it, I simply haven’t had the opportunity. To go some way to put that right I’m publishing a new series of mini guides about disabled holidays in popular European destinations. I know many of you travel to Europe, in particular, Spain, so my first mini-guide “Disabled Holidays in Almeria” gives you an overview and introduction to one of the lesser known areas, Almeria on the south-east Iberian peninsula. Almeria is unlike most holiday destinations on the Spanish coast. Instead of sunbeds and brollies on overcrowded beaches, Almeria is distinctly tame and unique by comparison. The capital city and province by the same name, Almeria, is nestled between the Mediterranean sea and the Sierra Nevada mountains. The peninsula is a mixture of beaches and tourist resorts which are spread out along 100km of coastline giving off an air of peace and tranquillity. 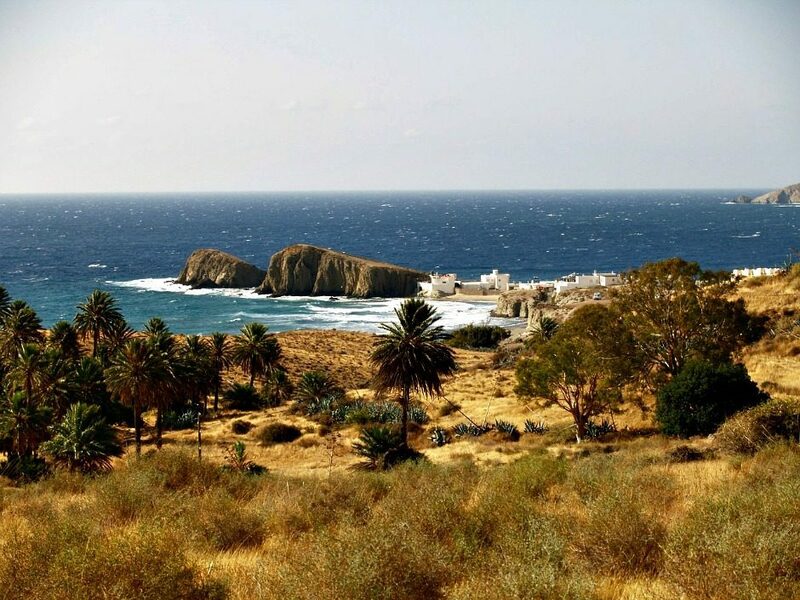 Almeria’s coastline, known as “The Real Spain” is not only beautiful but diverse. As well as unspoilt sandy beaches, there are bountiful romantic coves, quaint fishing villages, untamed headlands, areas of outstanding natural beauty and nature reserves all waiting to be explored. Almeria is part coastal, part mountainous and part desert so you might find some of the tourism hotspots challenging. If you have limited mobility it’s best to seek the services of accessible tour operators or taxis in the area. Almeria city and the region as a whole is deeply influenced by Arab culture. 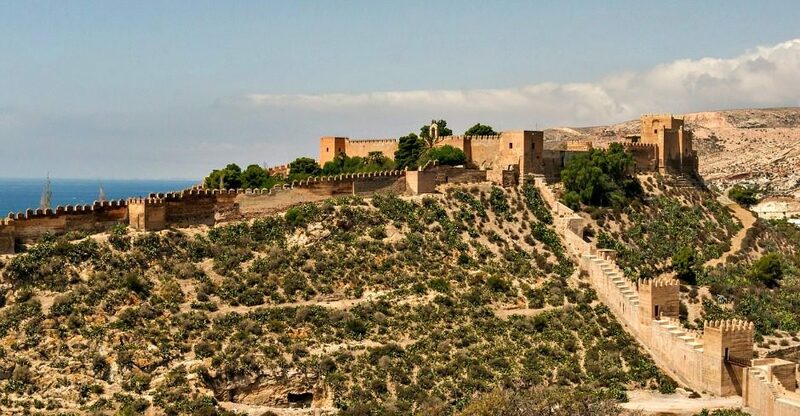 This is widely seen in its architecture, no more so than in the hilltop fortress La Alcazaba which watches over the capital city and its historically important harbour. But, as you’d expect, it wasn’t designed for accessibility so some might find it challenging. This city is also famous for the 11th century Muralla de Jairan city wall and the 16th-century Cathedral de la Encarnacion. The wider province of Almeria is where the area stands out from other Costa resorts. And, all of the major towns and villages in Costa Almeria are accessible by reliable public transport. 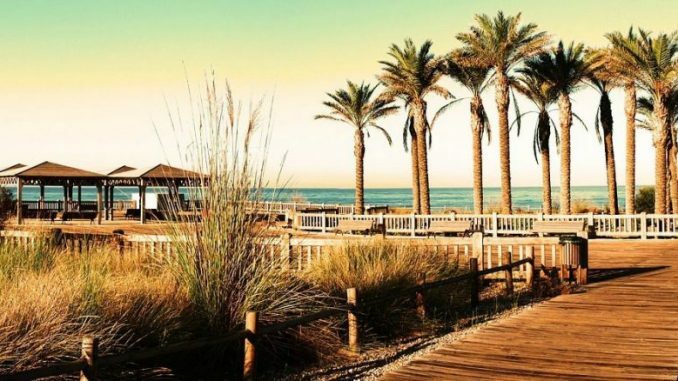 For sun seekers and those of you who like a relaxing holiday, you’ll be spoilt for choice with Almeria’s many sandy beaches and accessible promenade walks. For the more adventurous, organised tours into the mountains, national parks and desert excursions are all available. A popular excursion is the Wild, Wild West tour where many spaghetti westerns were filmed due to the dry and arid landscape. As you’d expect, you’ll be spoilt for choice when it comes to eating and drinking in Almeria. 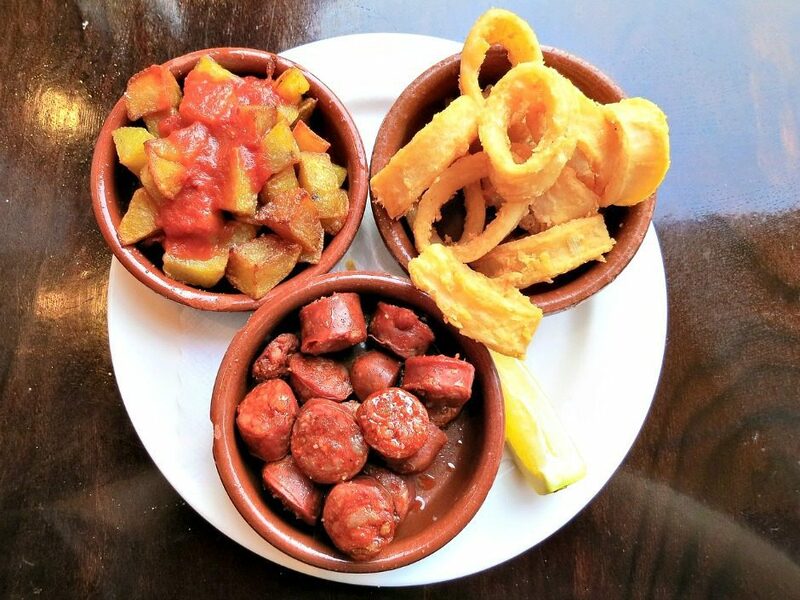 As well as international cuisine, Almeria’s restaurants, bars, cafes and of course Tapas bars excel in delighting foodies. 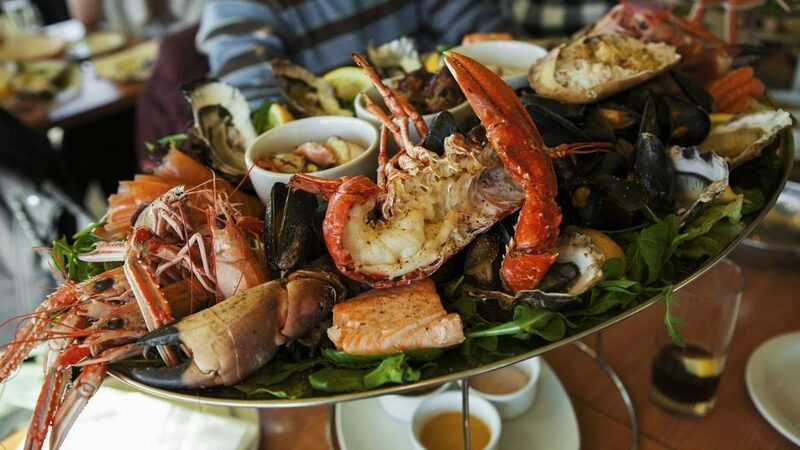 Because of Almeria’s location, an eclectic mix of food from the both land and sea are in abundance. Whether it’s freshly caught lobster in a fishing village, haute cuisine in an award-winning restaurant or local Tapas in the sunshine you’re sure to satisfy your appetite in Almeria. Much like the food, you have many options in Almeria for accessible accommodation. From disabled friendly hotels sold by the “specialist disabled holiday companies” to adapted apartments and farmhouses on a specialist site like Accomable. If like us, you don’t need fixed hoists and highly adapted holiday accommodation, you can expand your options. 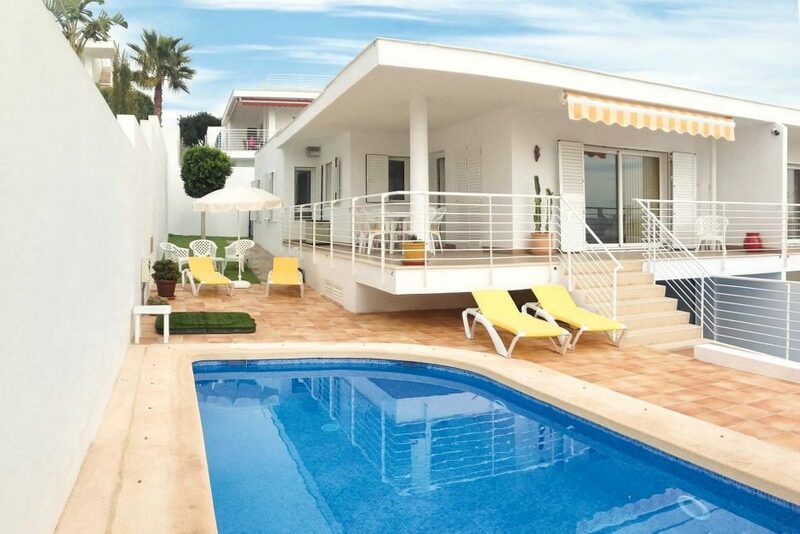 Holiday companies such as James Villa have a number suitable properties available for holidaymakers with limited mobility. James Villa Holidays have ground floor and single storey holiday accommodation in their portfolio. They also have a dedicated team who are able to discuss your individual mobility needs to ensure you have the perfect holiday in Almeria. I hope you found this mini guide to Almeria useful. As always, it’s sensible to discuss your individual needs with your tour operator or if you are travelling independently, check with the providers before travelling. I will be producing more mini guides and tasters to disabled holidays in Europe in the coming months so be sure to keep an eye out for them. If there is a destination you’d like me to explore, let me know in the comments below. *This post was kindly sponsored by James Villa Holidays, as always all opinions are my own.